Bridge the ten year gap between Rise & Dawn of the Planet of the Apes! It has been two years since the Simian virus wiped out humanity. With only a tenth of the population remaining, the civilization of man is no more! 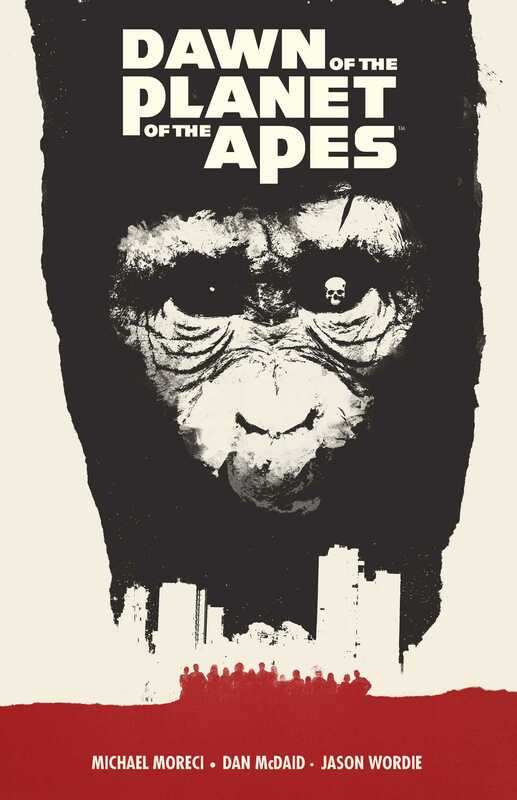 As Caesar sends out a pack of fierce primates to explore the world remaining, Malcolm and his family must venture across country to find salvation for his son and infected wife. Written by Michael Moreci (Roche Limit) and illustrated by Dan McDaid (Jersey Gods), this six-issue series bridges the 10-year gap between the Rise of the Planet of the Apes and Dawn of the Planet of the Apes films, chronicling the fall of humanity and the rise of Caesar’s ape civilization.